You're home is usually your biggest asset. Therefore you want to make sure you sell your home for the highest amount possible, by being strategically competitive. You need a real estate agent who knows marketing. North Idaho Relocation Group can offer our clients the most technically advanced marketing tools available to get your home sold fast. When you list with us, your home will be marketed online to multiple websites like Zillow.com, Trulia, eLookyloo.com, Homes.com, etc...24/7. To make your home most attractive to potential buyers, I stage your home bringing in paintings, flower arrangements, furniture and patio sets. I provide this free of charge to my clients. Once staged, I hire an excellent photographer to capture the beauty of your home so buyers see your home in it's true light. Each listing will have it's own video created that is boosted out to social media websites. 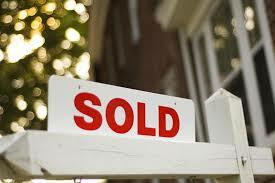 This extra service then provides the Seller with weekly and monthly reports showing the activity on their home. Lynda advertises on Realtor.com, specialty websites as well as print media. When leads come in, we're able to promote your listing to them, giving you the best exposure to active Buyers. See what appraisers may call out on your home. There's nothing worse then getting to the end of escrow, only to find a laundry list of repairs the bank's appraiser has called out. Knowing items ahead of time will enable you to start repairing these issues before close. Click the file below to see what is comely called out by appraisers. North Idaho Relocation Group specializes in Boundary and Bonner County real estate. As such we advertise our listings on specialized websites, target marketing our clientele. This means not only more exposure for your house, but a greater chance to get your house sold fast. Let us do a complimentary market analysis on your house. Finding out how much your house is worth is the first step in getting it sold. We'd love to talk with you to see how we can help with your real estate needs.